Bob walked backwards toward me. "Mom? Can you do that karate chop massage thing on my back?" "That's great. You can do it harder if you want." Teddy hopped off the couch and gently squeezed himself between Bob and me. "Aw, Mom. He thinks you're hurting me. I'm okay, boy. Mom wouldn't hurt me." "Come on you guys, group hug." Love Teddy! What a wonderful life y'all have together. 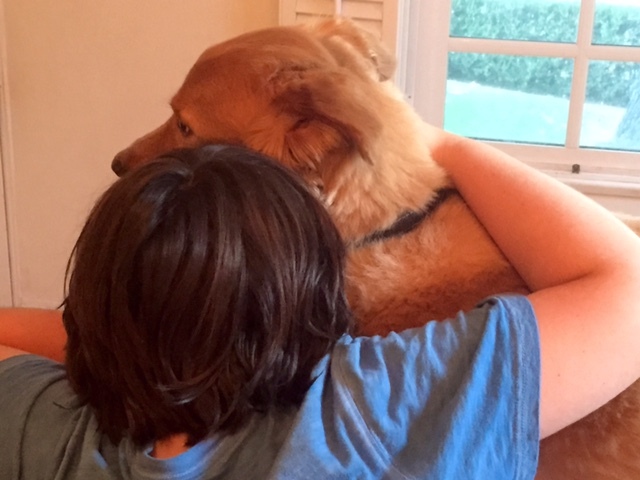 Every child should be able to have a dog.